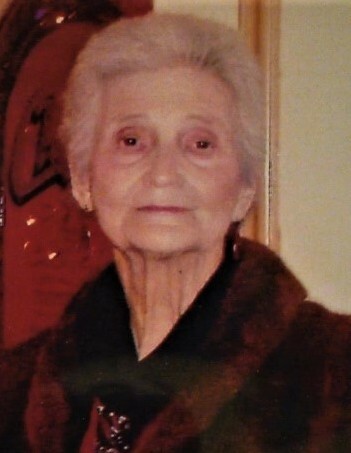 Betty Elizabeth Campbell Treat age 88 passed from this life on March 22, 2019. She was born April 19, 1930 in Tyler, Texas to Clinton and Claudia Campbell. She was preceded in death by her parents and her husband of 47 years JD Treat also her brother Johnny Campbell and her sister Delpha Campbell. Betty and JD had 3 children Rickey Treat (Sissy) and Mike Treat (Audrey) and Karen Treat Mohr (Rhon). Rohn and Karen Mohr took care of Betty for 20+ years and were honored to do so. Betty’s grandchildren include: Brandon Treat, Rhon Mohr Jr. (Diana), Shon Mohr, Bobby Mohr (Jennifer), Andrea Treat Schmidt (Jamie), Derrick Treat, Dustin Brewer (Kari), William Brewer and Charles Brewer. Her 18 great-great grandchildren include: Courtney, Cathrine, Candace, Rhon III, Lisa, Ashley, Robert, Josh, Anna, Brittney, Brea, Hunter, JD, Erika, Kalee, Duke, Hyden, Emberly, and her great-great-great grandchild Payzlee. Betty and JD attended Northside Church of Christ where JD served as a Deacon in Benton, AR. They also owned and ran Uncle Dudley’s in Salem community in Benton. Betty was an avid doll collector and flea market dealer and also worked for Mary Kay Cosmetics. Her husband JD also loved working at the flea market where he bought and sold collectable coins. Her personal aide, Barb Stone of 2 years was like family and will always be loved by the entire Treat Mohr family.